We will be closed from Thursday 18 – Monday 22 April inclusive. Open again Tuesday 23 April at 8am. Modern, Gentle Chiropractic Care for the Whole Family! At Chiropractic Connection, we believe that “true health” is about how well your body functions, not just lack of pain or symptoms. We believe in a holistic approach, that incorporates how you move, eat, think, and live. We provide a warm and friendly environment. We take the time to listen to you and understand your health goals. 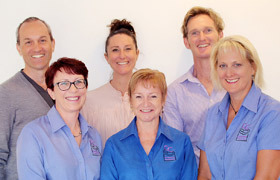 We offer you choices in how we help you and utilize other health care practitioners and specialists where appropriate. We use up to date and gentle techniques. We’ll empower you to better manage your own health and improve your lifestyle.